What is genetic testing? When is it done and why? These are a few questions which arise if you are planning to have a baby. Here are some of the answers. This test involves examining your DNA, the chemical database that carries instructions for your body’s functions to test for changes or alterations in your genes that may cause illness or disease. If you’re a healthy person, a positive result from genetic testing doesn’t always mean you will develop a disease. On the other hand, in some situations, a negative result doesn’t guarantee that you won’t have a certain disorder. It is important to discuss with your doctor or genetic counselor, what you will do with the results. Genetic testing is done by taking the sample of the blood, hair or tissue samples. In case you’re pregnant, a sample of your amniotic fluid is taken or tissue sample from the placenta (chorionic villus sampling). To understand the chances of your baby developing abnormalities, genetic testing may be done before conception or in the pre-natal stage. If you have symptoms and are being tested for it and if the genetic test result is positive, it could mean that the diagnosis of the condition you were being tested for, is confirmed. It will help you and your doctor determine the right treatment and management plan. If you were tested to find out if you are carrying an altered gene that could cause disease in your child, and the test is positive, your doctor or a genetic counselor can help you determine your child’s risk of actually developing the disease. Detecting a positive test to find out if you are carrying a disease, doesn’t necessarily mean you will get that disorder. It may mean that you are at high risk of developing the disease or there are some conditions, such as Huntington’s disease, for which having the altered gene does indicate that the disease will eventually develop. Talk to your doctor about what a positive result means for you. The results will help you make choices related to family planning and lifestyle. A negative result means a genetic alteration was not detected by the test since the accuracy of genetic tests to detect alterations varies, depending on the condition being tested for and whether or not an alteration has been previously identified in a family member. Even if the test was negative, it doesn’t necessarily mean you will never get the disease. Also, genetic testing may not be able to detect all genetic defects. What is the genetic testing that may be advised? 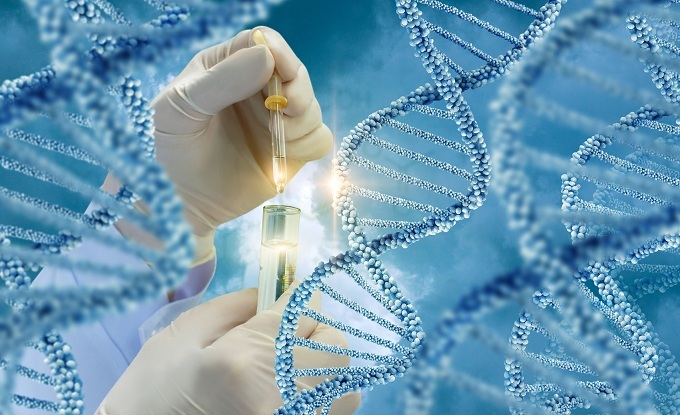 Diagnostic testing- If you have symptoms of a disease caused by a genetic alteration, genetic testing will confirm the diagnosis of a suspected disorder. Predictive and presymptomatic testing- this is carried out to check if you’re predisposed to a particular genetic condition that runs in your family, before you have symptoms. Carrier testing- If you have a family history of a genetic disorder — such as sickle cell anemia or cystic fibrosis — or you are in an ethnic group that has a high risk of a particular genetic disorder, you may choose to have genetic testing before you have children. Pre-natal testing- this is done to test for abnormality in the genes of your unborn baby. Down syndrome and trisomy 18 are two genetic disorders that are often screened for as part of prenatal genetic testing. Newborn screening- in this type of genetic testing, your new born baby’s genes are tested to detect abnormalities that can cause him to develop certain health conditions such as inborn errors of metabolism. This is important to diagnose early as treatment can then be started before complications develop. Preimplantation testing. Also called preimplantation genetic diagnosis, this test may be used when you use in vitro fertilization for conception. The embryos may be screened for genetic abnormalities. Embryos without abnormalities are implanted in the uterus in the hope of achieving pregnancy. If you’re older than 35 years when you conceive, genetic testing becomes all the more necessary. This is because the chance of the baby having chromosomal abnormalities increases in older mothers. Carrier screening however is recommended for all couples before you plan a family.